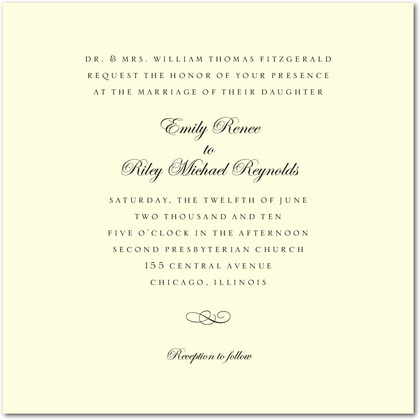 Calligraphy Swirl thermography wedding invitations from Wedding Paper Divas are an elegant choice for your celebration. A sophisticated, upscale design on classic ecru stock. Available in the following colors : black (shown), brown, gold, and navy.